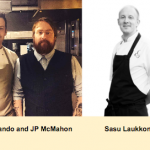 Galway chef, restaurateur, educator and food writer JP McMahon was announced Local Food Hero 2016 at the Irish Restaurant Awards All-Ireland Finals held at the DoubleTree by Hilton in Dublin on 16th May 2016. “The Local Food Hero award recognises the individual that promotes food culture in their locality and stirs up the passion in people to explore various cuisines. 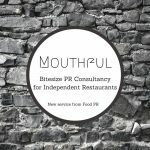 They are inspirational foodies – from artisan producers to local chefs throughout Ireland,” stated Adrian Cummins, CEO of Restaurant Association of Ireland (RAI).